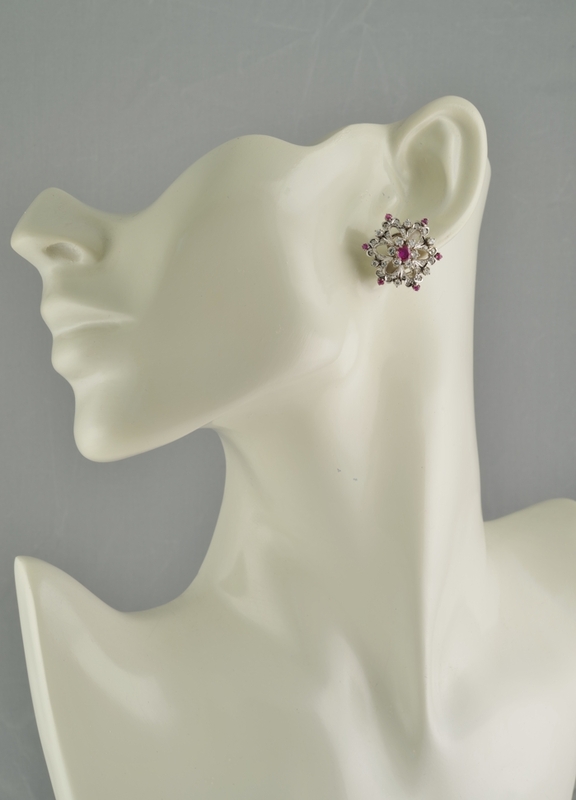 Sophisticate large flower inspired earrings! 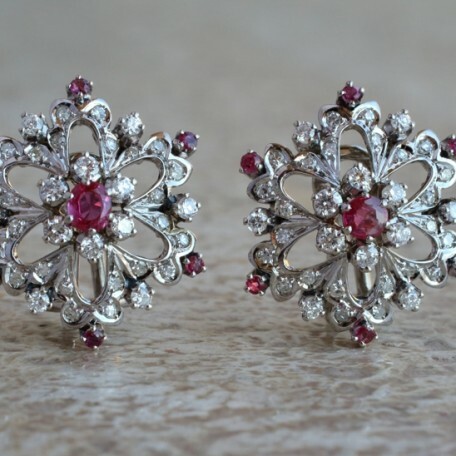 They are 24 mm. 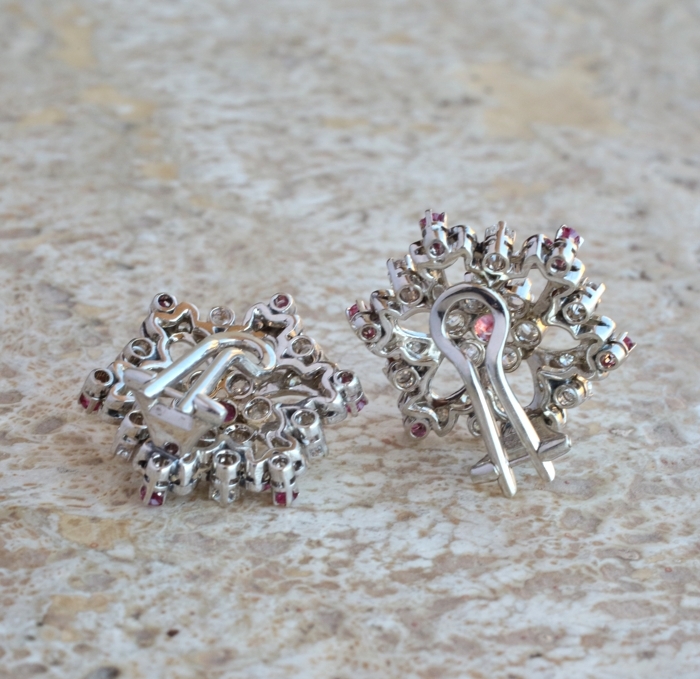 in diameter – so imagine what a great presence they have! 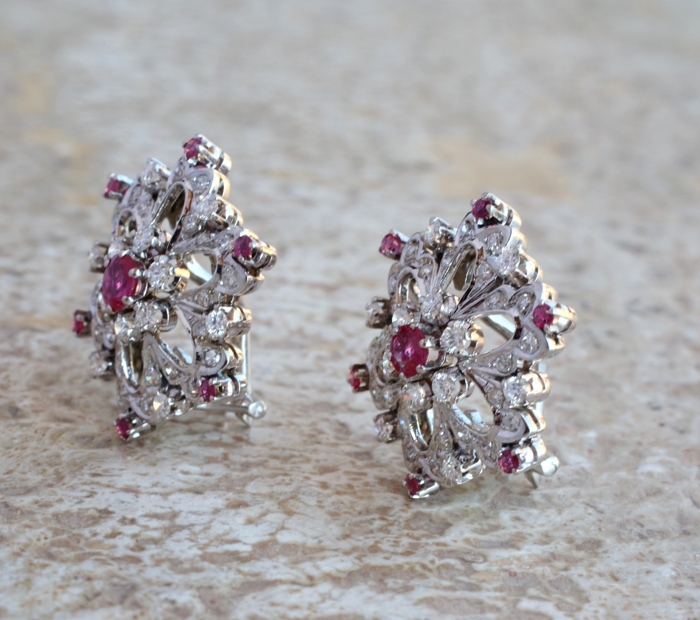 Amazing design of the most accurate and skilful workmanship made by the Italian masters of jewellery! 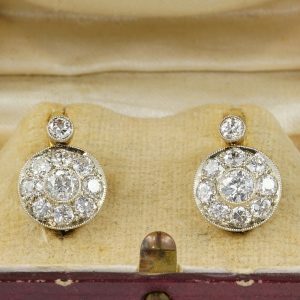 They look truly WOW when worn with exceptional feminine look and charming old fashion like the ones worn by Hollywood Stars during the 50’s! 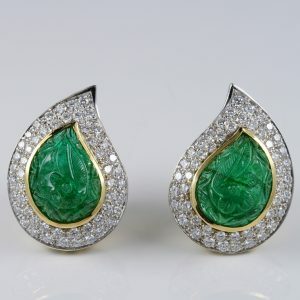 Current retail value for this pair is £4,950 our reserve is much less and the earrings a must have! 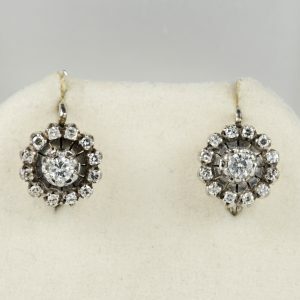 CHARMING .60 CT DIAMOND VINTAGE FLORET EARRINGS IN 18 KT! 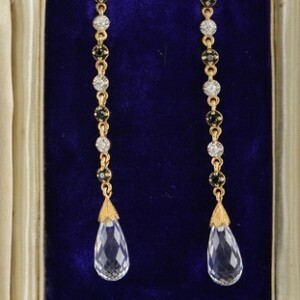 SPECTACULAR VINTAGE ROCK CRYSTAL BLACK & WHITE DIAMONDS LONG DROP EARRINGS! 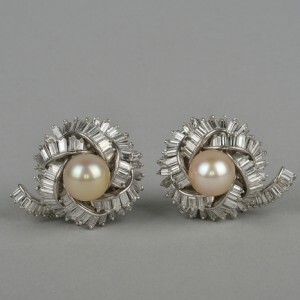 SPECTACULAR VINTAGE 7.0 CT DIAMONDS & PEARL SOLID PLATINUM EARRINGS!